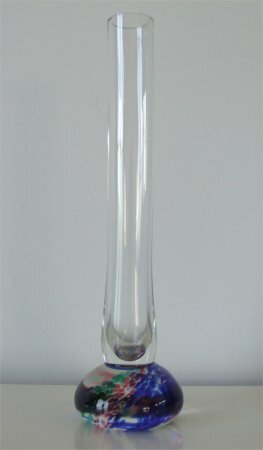 This vase is approximately 217mm (8 & 5/8ths inches) tall. 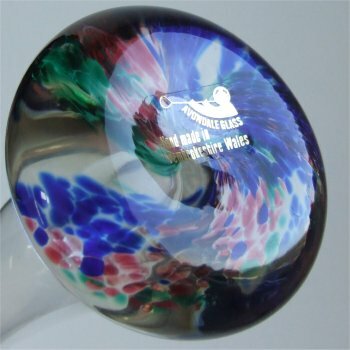 The base is a squat ball shape, in clear glass with splashes of pink, cobalt blue and green. 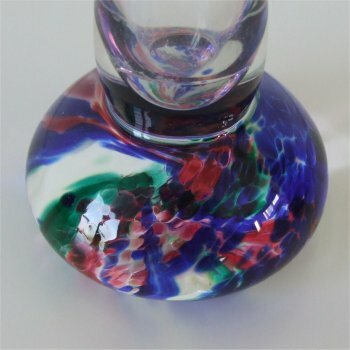 The colour, although within the glass is just under the surface. The bottom of the base is smooth and concave. The stem is clear, slightly bulbous at the base but straight up to the top, and measures approximately 25mm (1 inch) in diameter. 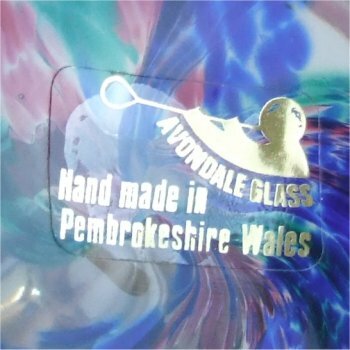 The label is clear plastic with gold lettering and an image of a glassblower stating, 'AVONDALE GLASS Hand Made in Pembrokeshire Wales' (see image below).